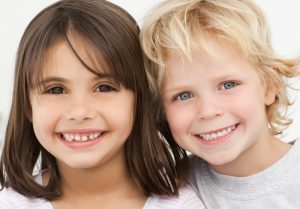 Child Custody Category Archives — Long Island Family Law and Mediation Blog Published by New York, Family Attorney — Law and Mediation Office of Darren M. Shapiro, P.C. There are many complex cases to consider in the world of family law. Some of the most often-discussed cases include those to do with divorce, child support, child custody and parenting time cases. However, there are also instances in which a parent may be accused of neglecting or abusing a child – either in a case brought in family court or outside of court after a CPS or ACS investigation. Child neglect can appear in many different allegations, from a parent being accused of being unable or unwilling to provide their child with the right food and hygienic care to keep them healthy, to a care-provider being accused of neglecting to give a child the expected education. The law says children are entitled to an education. If a parent fails to provide their child with that education, the belief is that they could be harming that child’s future and making it harder for them to succeed in life. As such, issues with education are often referenced in cases regarding abuse and neglect. When Can a Parent in New York Legally Monitor a Child’s Text Messages? Parents have an obligation to keep their children safe and to make sure that a child’s naiveté does not put them in harm’s way. At the same time, most parents want to encourage some level of independence to help develop a child’s decision-making skills. In today’s society, with the prevalence of cellular phones, text messaging, instant messaging, and the like, the question of a parent’s right (and in some cases, obligation) to monitor their children’s phone use frequently comes up. The general rule is that a parent is able to monitor their children’s cell phone use, including the text messages that have been sent and received. This can be done in a number of ways. The easiest way for a parent to view a child’stext messages is to simply scroll through the child’s phone. Parents can also view a log of all of the messages sent and received in most carriers’ monthly billing statements or online. There are also apps that allow for parents to monitor a child’s phone activity remotely. Thus far, we have discussed monitoring a child’s cell phone activity to keep tabs on with whom they are talking and what they are saying. However, if a parent wants to use text messages in a New York family law proceeding, other issues may arise. Will a New York Court Order a Forensic Evaluation When Grandparents Seek Custody of a Child? Many New York family law cases involve a child custody dispute. 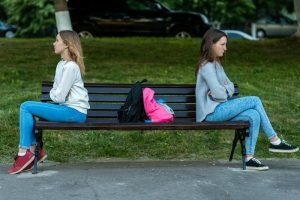 Most often, these disputes arise when the parents of a child or children go through a divorce and argue over who has primary custody of the children. However, in some cases, grandparents seek visitation or custody of a child. This may be after a divorce or even while the child’s parents are still together.In previous posts, we have discussed under which situations a court may award visitation or custody to grandparents. As previously noted, grandparents do not have a “right” to the custody of their grandchildren. Thus, custody will only be awarded to a grandparent if certain factors are present. Among others, a court must determine that awarding custody to a grandparent or grandparents is in the best interests of the child. How Do Courts Determine What Is in the Best Interests of a Child? Judges know the law. However, very few judges are trained in psychology, and fewer still are able to glean sufficient knowledge of a family’s dynamics through the evidence presented to the court. For example, much of the evidence presented in a New York custody case may be limited to text on a page, which may not provide a judge with much knowledge of the relationships between the parents, children, and grandparents. Additionally, any live-witness testimony has the potential to be biased or fabricated. 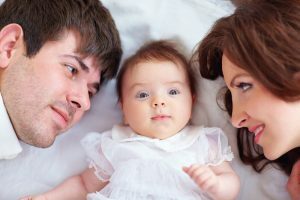 Ever since the time that DNA testing has been recognized as a reliable method of determining paternity, family courts across the country have relied upon the testing to resolve disputes over paternity. Indeed, the New York Family Court Act discusses the availability of DNA testing for the purposes of establishing paternity in section 532.In fact, section 532 requires family law judges or magistrates to advise all parties of their right to request DNA testing in paternity cases, instructing that the court “shall” order testing when any party requests it. That being said, the statute also prohibits DNA testing when the judge determines that testing is not in the best interest of the child based on certain enumerated reasons. As noted above, parties have a right to a paternity test, and a test will be ordered if any party makes such a request. Additionally, the court can, on its own motion, order paternity testing even if neither party has requested it.